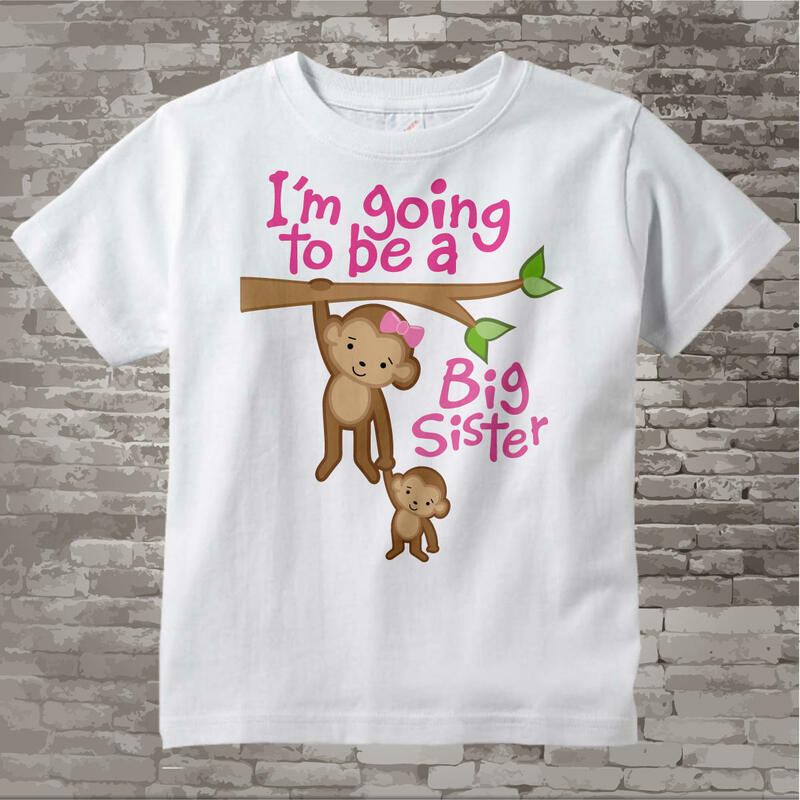 Super cute Personalized Big Sister tee shirt with awesome monkey big sister and little sister, little brother, or unknown gender baby with her. 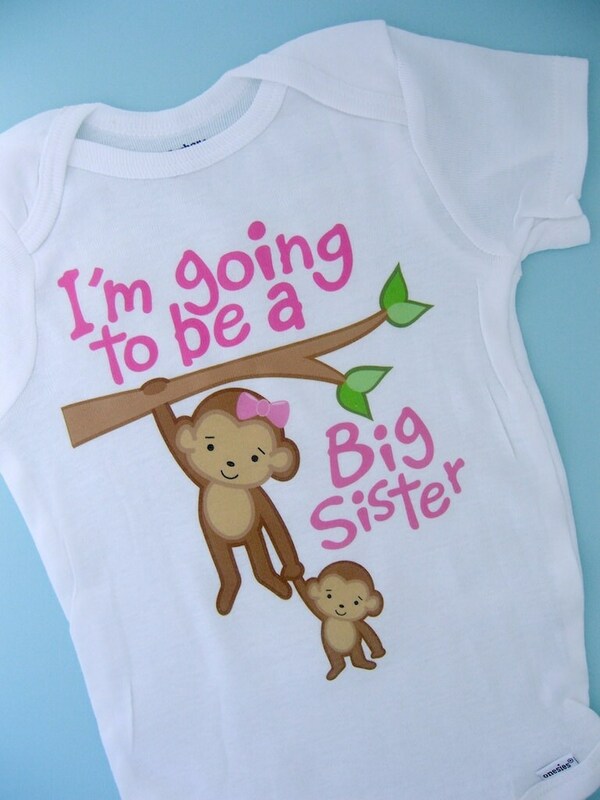 Super adorable, everyone loved it and it was such a cute way for us to share out news, and include our daughter. Great work! 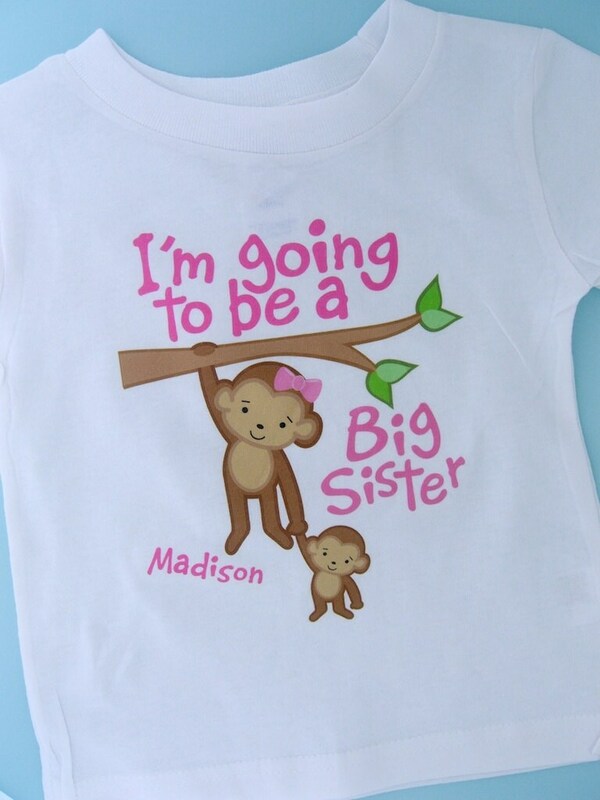 Shirt looks just as pictured!